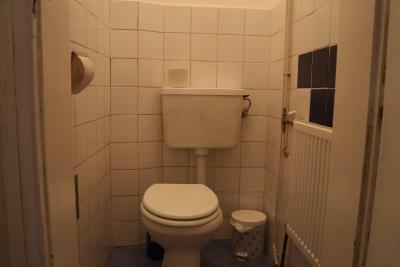 Excellent Location, big room, kitchen, quieter place in historical part, close to park. Good view. We go on foot to city center. Big bed. Quite place. 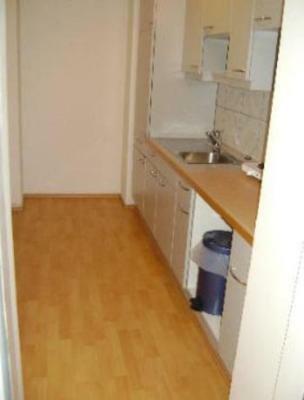 Location is close to the city center. You need to take tram or walk to the closest metro. Check in is only at 14:30. If you arrive earlier, you may leave your luggage at the hotel until check in. Breakfast is perfect part of the hotel. It starts from 7am to 10am. All is fresh. Good location. Very friendly staff and very good value/price. The breakfast has all necessary food. 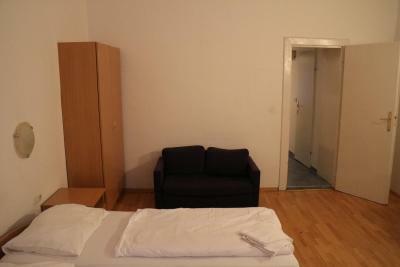 Room size and Location. The receptionist Lady was very helpful. 10/10 to her. Thanks for help. The first impression was great. Breakfast was good. The size of the room allowed for our family of 4 to not bump into each other. 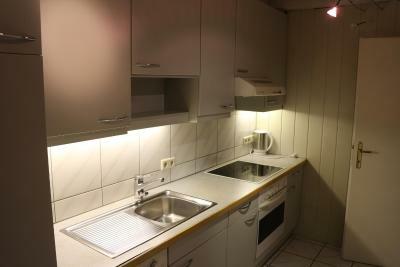 It had a small kitchen, which is a good thing to have with little ones. Also, it was relatively cheap compared to other places I saw online. 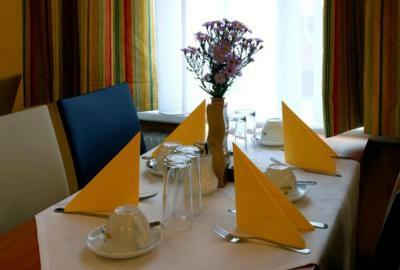 Breakfast was good and the personnel was really helpful. They spoke good english and were very polite. Location was great, as well as the staff! After some car parking trouble, we got a great help from Natalia! She's one of the best staff I met during my travels. 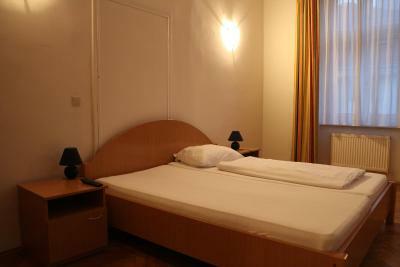 Not far away from Prater amusement park, and from city center, around 20 minutes by foot. Breakfast too was really nice!! The location and public transport conection was really good. 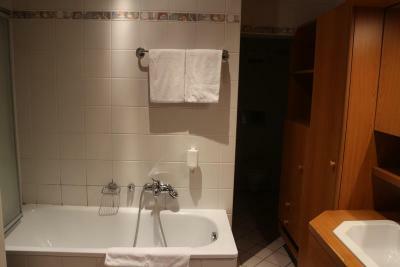 Kitchenette, terrific shower and,good breakfast for the price. One of our best sellers in Vienna! 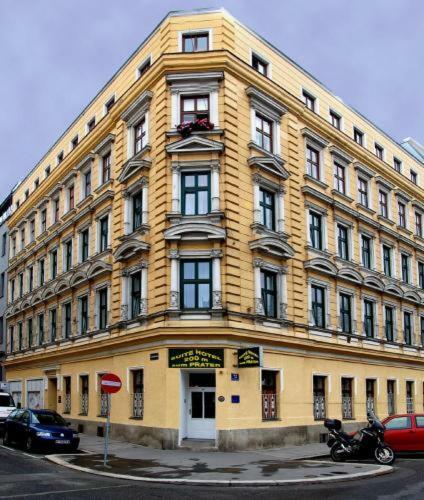 In a 19th-century Art Nouveau building, Suite Hotel 650 feet zum Prater is in Vienna's vibrant 2nd district, just a 5 to 10-minute walk from the center of the city. 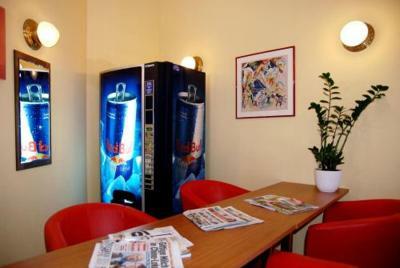 Free wired internet is available in the lobby and the rooms come with free Wi-Fi. 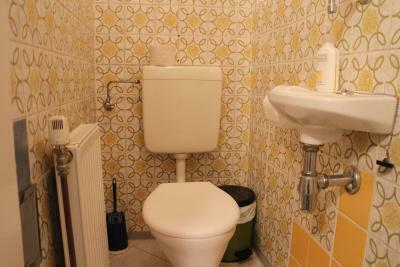 In a quiet location, all rooms come with a sitting area, a work desk and a private bathroom. 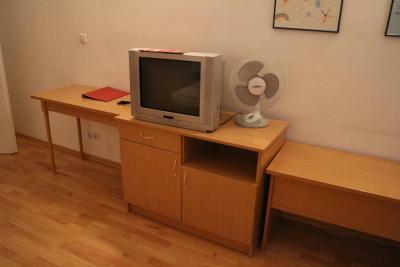 Cable TV and a functionally equipped kitchenette are provided as well. 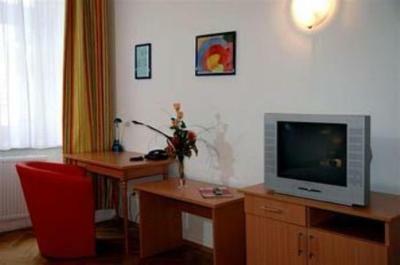 A 24-hour front desk is available and laundry facilities are at guest disposal. 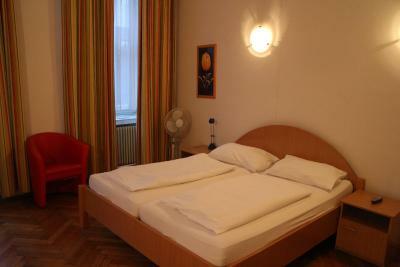 The Suite Hotel is 650 feet from the famous Vienna Prater with its large Ferris wheel. Tram line 1 and bus lines 4A and 80A stop 350 feet away. 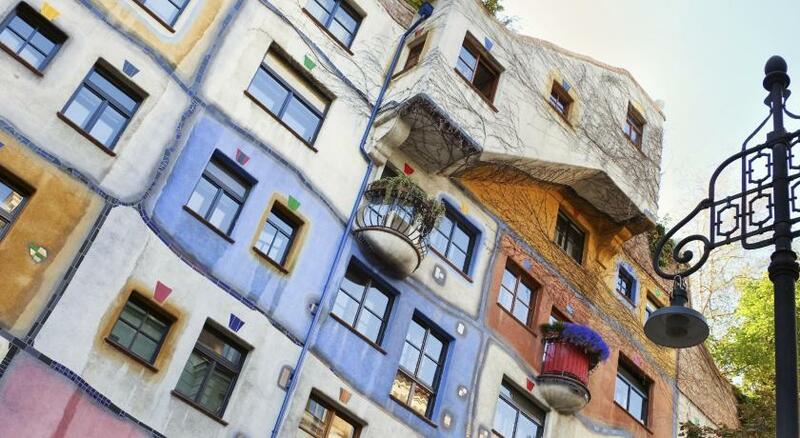 Guests can reach Vienna’s main sights such as the famous St. Stephen’s Cathedral and the Opera within a 20-minute tram ride. 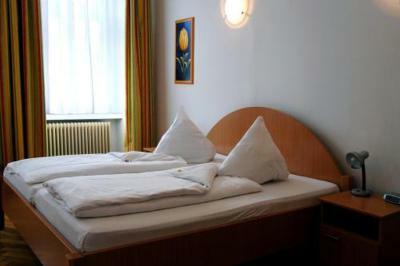 When would you like to stay at Suite Hotel 200m zum Prater? 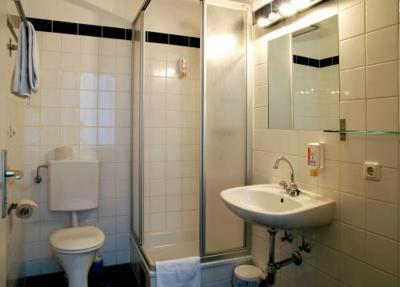 The suite consists of two rooms and a private kitchenette. The junior suite comes with a double bed and a private kitchenette. 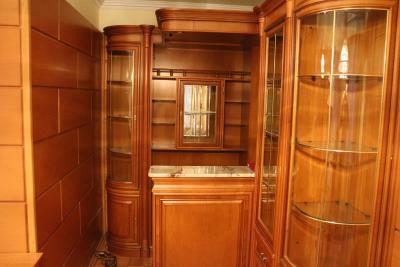 This suite offers space for 1 or 2 guests. 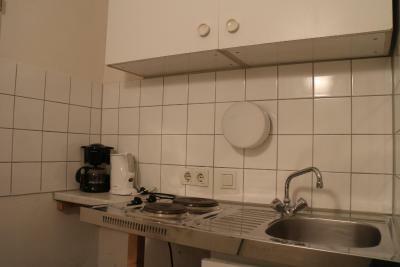 This room comes with a kitchenette, a work desk and a sitting area. 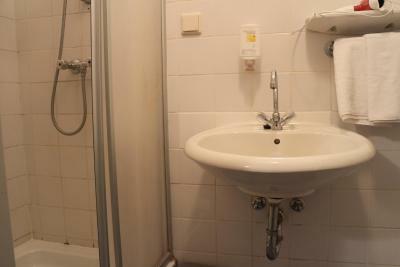 This spacious room features a sitting area, a kitchenette and a private bathroom. 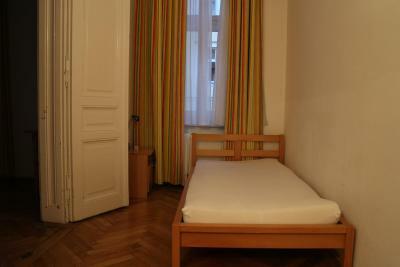 In the center of Vienna only a few minutes walk to Prater with the Congress-Center. 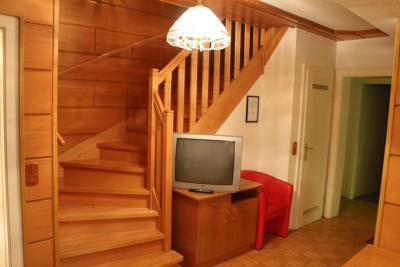 The house is located in the most famous & quite area.It was built in 1885 and renovated in 2002. The 3-Stars SUITE HOTEL has 25 Suites, an internet corner for guests, a bar and a garage. Hotel surroundings – This neighborhood is a great choice for travelers interested in convenient public transportation, old-town exploration and monuments – Check location Good location – show map Guests loved walking around the neighborhood! 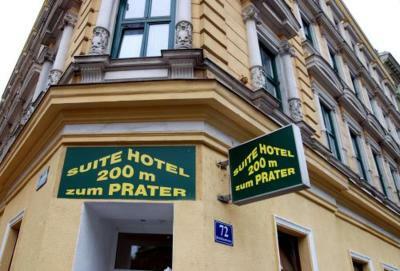 House Rules Suite Hotel 200m zum Prater takes special requests – add in the next step! 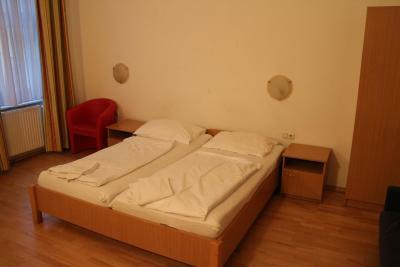 One child from 7 to 12 years is charged EUR 20 per person per night in an extra bed. 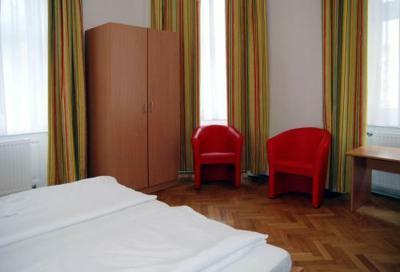 Suite Hotel 200m zum Prater accepts these cards and reserves the right to temporarily hold an amount prior to arrival. The room is very old. The position of the structure is in a residential zone and nearby there aren't amenities like restaurants or cafe. Wifi didnt work! Dirty furniture. Basically everything, but the most important thing is the lack of cleaning. That's a very major point. 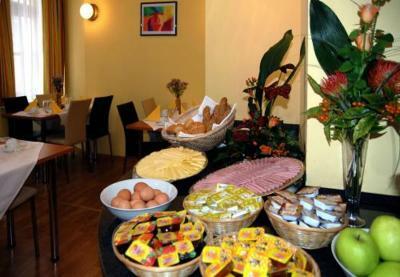 Breakfast is good as always, however eggs and fruit should be restarted. 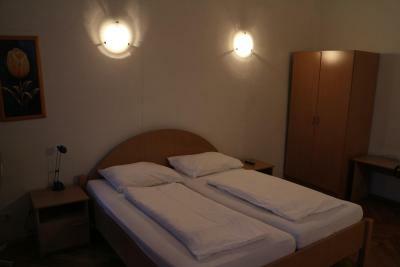 Room maintenance has become better and wifi service which had been bad has improved, but still it can be much better. With all the limitations staff is very cooperative, specially the senior persons st the counter. 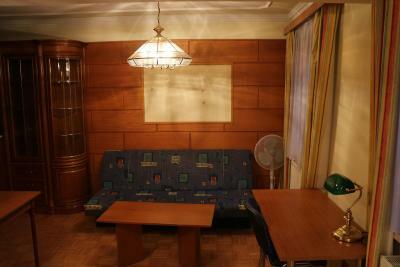 The interior is very old, the bed i had was a couch i think at least 10 years old. I think it depends which room you get, but i had one just opposite of the stewards and i could hear every single word they said. 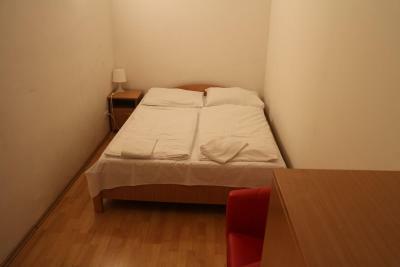 Well located and not far at all to the city center. internet was so weak! breakfast was not good. stuf is good. room is big. Obviously the wifi. It was troublesome almost on all occasions. Everything was excellent except for the wifi..